There is no places like home… Well so they said, and i highly doubt whoever said that was spending long dark and cold winters in the north while those words came out of their mouth. Life it too short to go through that and being miserable every year. So why do it? Here in USA we have so many great and WARM getaway places to spend the winter time. One of my all time favorite places to go is Key West. In my opinion Key West is like a Caribbean island within driving distance. As soon as you have made your way down through the key and crossed the last of the 42 bridges, you enter another world. Everything is different here, just like the Caribbean. People are way more relaxed and laid back. No one gives a hoot about how much you are making per year, what you are driving and how big your house is. 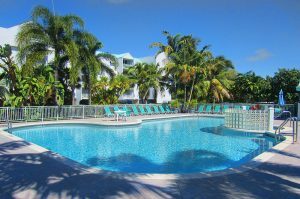 I stay there for a month every year, and last year I rented the condo here www.seasidebreezekeywest.com. I had a great time there and it was a great experience. The owners made a smooth transaction for me, and were always helpful with my questions whether it was about the condo or Key West. The condo was well stocked and very clean. I enjoyed sitting on the balcony or at the pool with a cold drink, thinking about my freezing friends at home :). Of course I sent them plenty of sunny pics and selfies. Tip 1. Search for phrases: Most owners have their own website like the one above. If you rent from places like VRBO, Homeaway or FlipKey you will pay a lot more for your stay! So do whatever you can to track down the owners website. They often use the same tile as used on the big rental places. So copy that title, or other text in their description you think may be unique and search for it in google. If the owners have a profile picture in the listing, you could try to search for that also. Good luck with your search. I hope you’ll enjoy your warm winter and who knows… maybe we’ll meet in Key West!